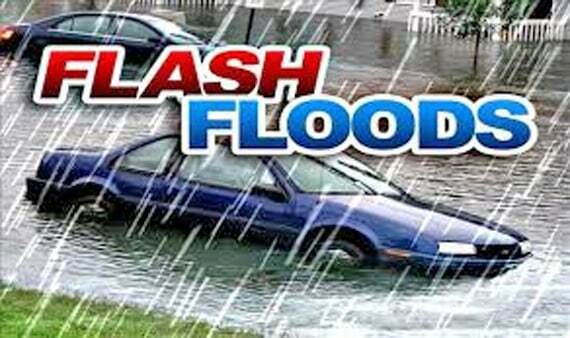 The National Weather Service in Cleveland at 1159 am EDT Monday June 15 2015 issued a Flash Flood Watch through tonight for Crawford, Richland, Marion, Morrow, Knox, and other counties. FLASH FLOODING POSSIBLE THIS AFTERNOON AND TONIGHT. Scattered showers and thunderstorms will become more widespread this evening ahead of a frontal boundary approaching from the northwest. Very moist atmospheric conditions will result in torrential rainfall and rainfall rates near or exceeding 2 inches per hour. The soil is already saturated from recent rains in some areas and flooding could develop quickly. Isolated severe thunderstorms may develop especially late today and early tonight ahead of a weak cold front. Damaging winds and large hail are possible. – Some areas will have multiple rounds of thunderstorms…each increasing the threat for flash flooding. – Localized areas of flash flooding… as well as quick rises on area creeks and streams will be likely from the heavy rainfall.